Really interesting article! I was always wondering how acupuncture would help with pregnancy. After reading this article, I feel that I really need more information on the topic. Can you suggest some more resources please? I think if you have some disorders it doesn’t heart to seek acupuncture help as a natural way for treating it. 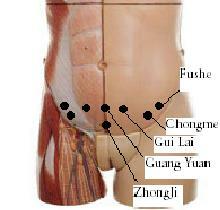 Acupuncture well known as a practical way for treating various disorders. Another great post man, I spent the last hr here. You are going to have to slow down man.